At least when it comes to their reading comprehension. It makes a lot of sense if you think about it. Less people will complete a doctorate as will complete a four year undergraduate degree. Less people will compete a four year degree as will graduate high school. Less education usually means less reading and less reading leads to a lower level of reading comprehension. If the words and sentences you use are too complex a number of people who might otherwise appreciate what you have to say may have trouble following how you’re saying it. Blogging is a conversation and in order to have a meaningful conversation both sides need to have the ability to understand each other. You could be turning away readers by making it too difficult for them to read and follow what you have to say. How do you know what level of education is likely needed to understand your writing? Enter the Gunning fog index. What is the Gunning Fog Index? Take a full passage that is around 100 words (do not omit any sentences). Find the average sentence length (divide the number of words by the number of sentences). Count words with three or more syllables (complex words), not including proper nouns (for example, Djibouti), compound words, or common suffixes such as -es, -ed, or -ing as a syllable, or familiar jargon. The number you get at the end should be the average level of education a person needs to understand the passage in question. A Gunning fog index of 12 correlates to a high school senior. The formula isn’t perfect. Words like “everyone,” “popular,” and “average” are considered complex words, because each has three syllables. I doubt many would stumble over those words or require having a high level of education to comprehend them. Still if you use them your Gunning fog index goes up. Some passages with a high index are rather easy to read and you can write a passage with a low index that is much more complex than the index would say it should be. Overall the Gunning fog index does seem like a reasonable indication of how difficult a passage is to comprehend. I thought it would be interesting to calculate the Gunning fog index for some of the most widely read blogs and see how much schooling we need to understand them. I grabbed the list of popular blogs from Technorati, found three paragraphs from recent blog posts that were about 100 words each (75-125 words), and manually counted words, sentences, and complex words. Then I ran the calculation and took the average of the three paragraphs and called it the Gunning fog index for each blog. I’d hardly call what I did scientific. Three recent paragraphs is not enough to characterize the writing of an entire blog and I have to admit counting complex words isn’t as easy as you’d think. There’s a little bit of play in some words that use the suffixes mentioned in the list above. A couple of words here or there does affect the calculation, though probably not too significantly. Were I test the same passages again in a few months the numbers below could easily differ somewhat. However, I don’t think the index in generally is meant to be highly scientific. It comes across more as a reasonable approximation of how difficult a piece of writing is to comprehend. If you count the number of blogs below you’ll notice there aren’t 20. A few of the top blogs didn’t have passages of text long enough to test as they mostly relied on images for their posts. If anything that only adds to the argument that to be read more you need to stay away from complex writing. I could have continued with blogs further down the popular list, but the manual calculations got tiring and I wasn’t bright enough to search for an online calculator like the ones below. If anything the indexes I calculated will be a little bit high. Whenever I wasn’t sure if a word was considered complex I generally counted it. I also compared a few of my calculations with the calculators above and saw the same thing. My numbers are perhaps a half an integer on the high side based on the calculators and my own sense of how I ran the numbers. The average Gunning fog index for all of the above blogs was 12.18, or the equivalent of a high school senior. Going in I expected the number would be lower. I was surprised to see numbers over 15 and some of the individual passages I checked were as high as 18 or 19. I’m not sure how much weight you’d want to put on these numbers, but I can say it was easier to read the paragraphs that had lower indexes than it was reading those with higher indexes. Across the board it’s very common for writing that is meant for the general public to have an index around 11 or 12, with technology related content having indexes up to 15. The numbers above would agree. I couldn’t calculate the Gunning fog for all the above blogs without being curious about my own blog. Taking three paragraphs from recent posts here resulted in a Gunning fog index of 10.38. I guess 10th graders and above are welcome. Aside from the conclusion that I need to look for online calculators before spending the time to make manual calculations what does any of the above prove? Mostly if backs up the initial thought at the beginning of this post. If you want your blog to be more accessible and more widely read you need to write simply, or at least you need not to write too complex. Whether it shows or not I am usually conscious of the words I’m using here. I will rewrite a few things to make them simpler and I try not use big words when they aren’t necessary. I may not be the most popular blogger and I may not have the largest audience, but I haven’t had many people tell me they couldn’t understand what’s written here. People may not agree with me or enjoy what I have to say, but at least they understand what I’m trying to get across. If your blog is going to attract and hold a larger audience it’s going to do that based on the ideas you have to share and how far those ideas can spread. Before your ideas can spread across the web they need to be understood so you may want to think about the Gunning fog index and periodically check to see how easy or hard it might be to follow your writing. 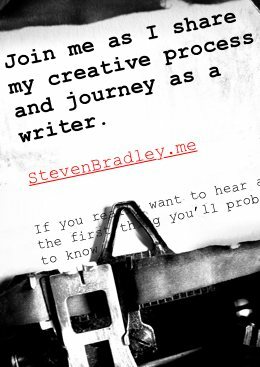 Maybe your target market or your blogging voice calls for more complex writing, but odds are you’re looking to write at a level that can be understood by a high school junior or senior or in my case a high school sophomore. If anyone wants to run numbers on some of the blogs above for comparison let me know. I’d be interested in seeing what you come up with and there’s at least a link in it from me to you. If you want to share the Gunning fog of your blog either try the manual calculation or use one of the calculators above. The calculator is easier, but having to read through the passages to count the words, sentences, and complex words will give you a better understanding of how the index works. What’s your Gunning fog index? How much education do I need to read your blog? Wow, I’m not sure I want to do those calculations. I’ve been accused in thepast of talking like a swallowed a dictionary, so I imagine my writing style is probably a bit that way too. I guess this is something of which I will have to be more aware. I certainly don’t want people choosing not to read my blogs because it is too touch to wade through the paragraphs. This was interesting and something I’d not considered before. Don’t be afraid. It is kind of interesting. I was thinking my own Gunning fog index would be higher than it was. Reading some of the things you’ve written I don’t think you’ll score too high. And I’m not really sure how accurate the test is. I do think it’s something to be aware of. If you consider fiction, most literary works are far superior in every aspect of what a novel is when compared to best seller fiction. But it’s those best sellers that get read more often. A big part of the reason is Gunning fog. Compare the writing in popular or genre fiction to one of the literary masters and it’s easy to see. Apparently I don’t type like I swallowed a dictionary. I just re-read my last comment, and I went off the rails somewhere in regard to type and/or proper word use. Is there a Gunning fog for that? Funny. I type like a three year old, which is an insult to three year olds everywhere, so I can’t really make fun of you. Maybe we need to invent the Gunning typo index. Yikes, I can’t think about what I’m going to write let alone think how to write it. No problem though, I don’t have know use any words a high schooler wouldn’t know. Funny David. I know what you mean. Coming up with the ideas is the hardest part. Unfortunately I know far too many words that high school students are very familiar with, but aren’t appropriate for a family blog. Thanks Ray and funny. I agree simple explanations work best. I don’t mind a complex word or sentence here or there and there are times when complex language is appropriate, but not most of the time. The ones that get me are the people who you can tell went out of their way to choose the most complex word just so they can show off their vocabulary.